Are you ready to meet the real legend of the IT industry? We are proud to announce our second Keynote Speaker… Christian Heilmann! A bit of background, Christian is a charismatic developer, technology advocate, and journalist known for helping the web evolve through a fruitful career at Yahoo, Mozilla, and now Microsoft. 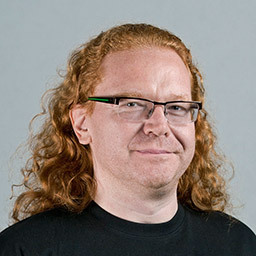 Christian Heilmann has been a web developer since 1997 which means that he dedicated the last 20 years of his life to make the web work and thrive. He dedicated most of his time since on educating, writing, sharing, presenting on average 30 conferences a year. Christian strives to make code and coders work efficiently and get more done quickly without losing the understanding of what we do. 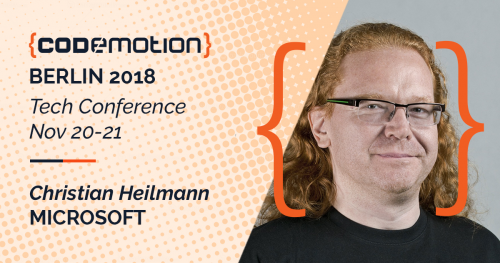 In November Christian will join us at the upcoming edition of Codemotion Berlin. Don’t miss a chance to see him on stage!